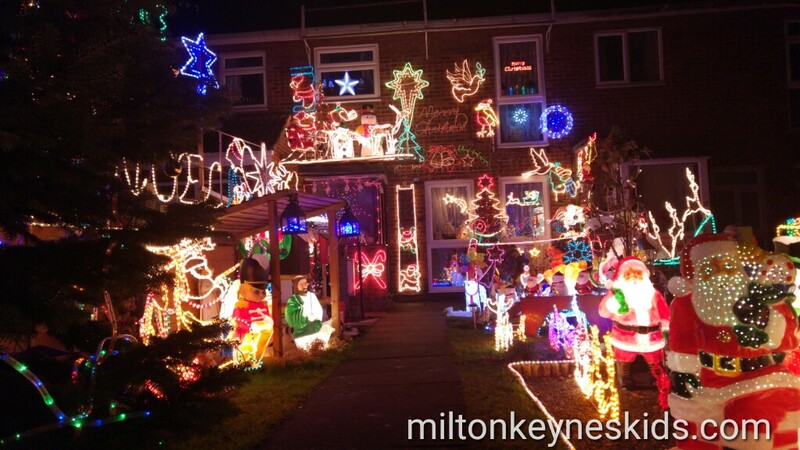 One of our favourite cheap activities to do at Christmas is to walk around looking at all the houses which have put up decorations to raise money for charity. But who wants to drive around aimlessly in a search for the best ones? We certainly don’t. 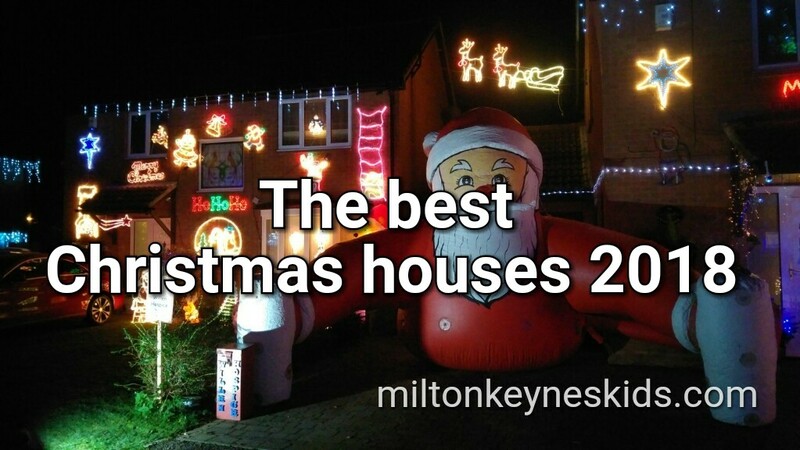 So for the second year in a row I’ve put together the Milton Keynes Kids guide to the most Christmassy houses in and around the local area. 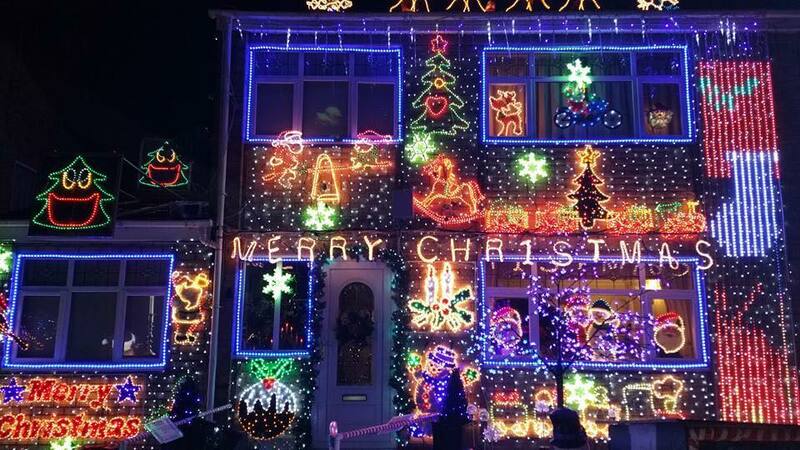 The residents will have gone to great effort to put up the lights, and I do this blog for free, so please promise me one thing if you go to any of them, take lots of spare change with you to donate to all the good causes. Don’t just drive by. Park on a nearby road, stop and donate some cash. If you know of others please send photos and information to laura@miltonkeyneskids.com. Do bear in mind that these are just tips, apologies if for whatever reason the lights aren’t on when you get there. 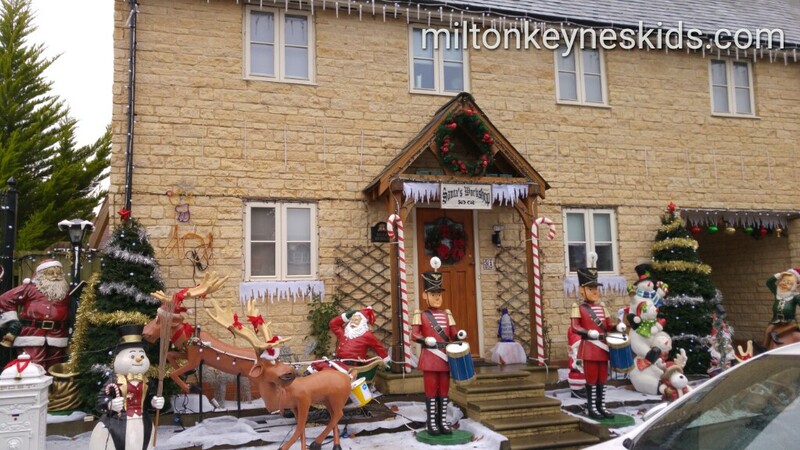 Known as Christmas street, this is one of the most popular places locally to see fabulous houses and well worth travelling to if you live outside of the area. 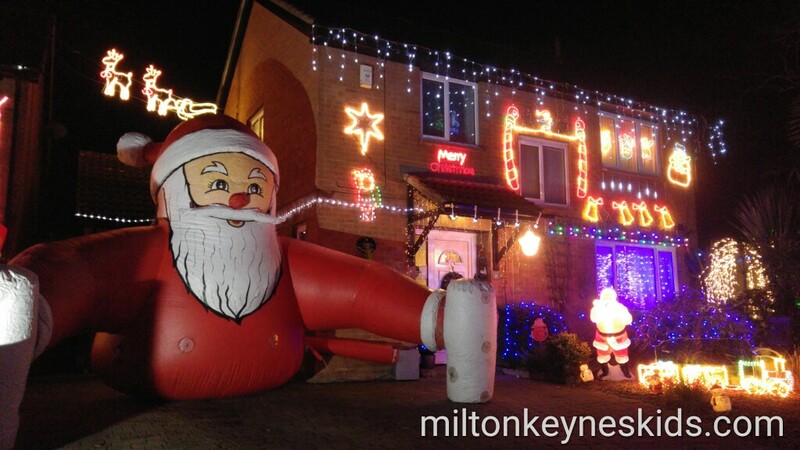 There’s generally an inflatable Santa, interactive features and loads of lights. All of the money raised goes to Willen Hospice. Last year they raised more than £10,000. Don’t attempt to drive around the cul-de-sac, park nearby and walk. Lights generally go on when it’s dark and stay on until about 10pm. This year’s lights go on 6.30pm on !st December. They will stay on until 31st December. Don’t leave it too late to go. 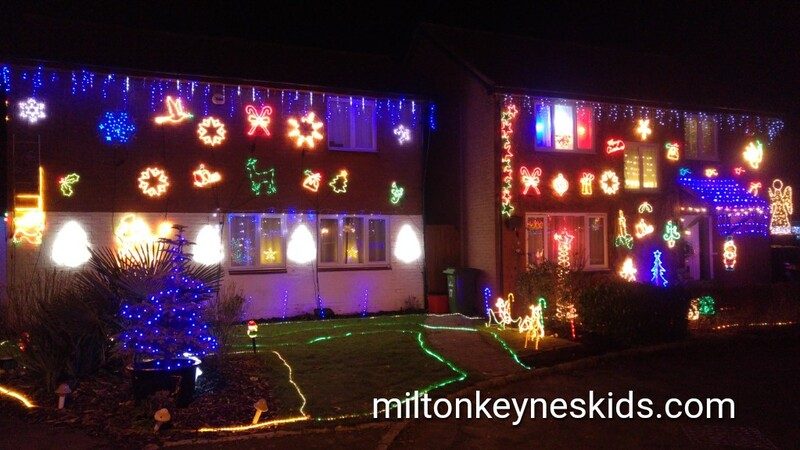 We love the houses in Kennington Close in Newport Pagnell. The lights were really pretty on many of the houses in 2017 and definitely worth a visit if you’re that end of town. 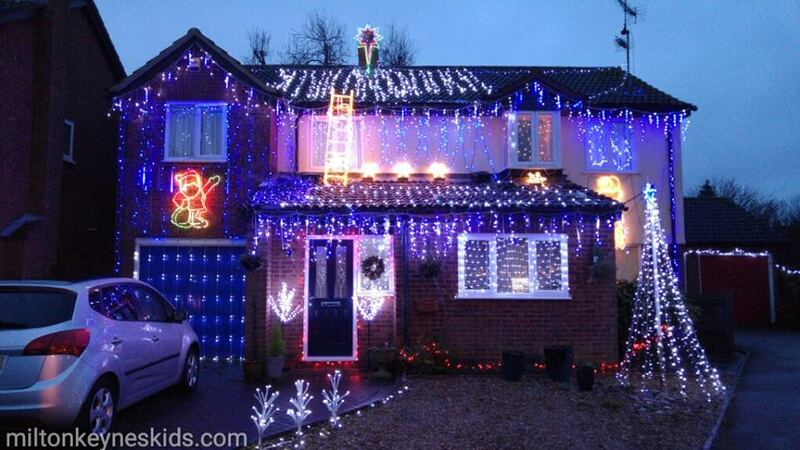 Not all the houses in the close do put up decorations so they’re slightly more spread out than Summerhayes. We found it easy to park, but do be courteous to those living there if it gets busier, there are plenty of other roads to park on. There are collection boxes to put your money in. The best postcode is MK16 0NJ. The lights are being switched on on 1st December. Their event says it starts at 5.30pm. One of the prettiest houses we’ve come across, this house in Olney looks just as good in the day as it does at night It is just the one house but is lovely and we’ve visited for the last two years. 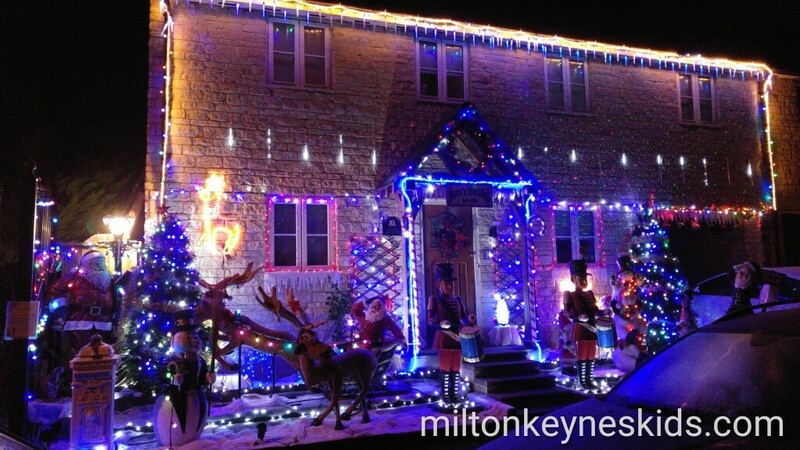 The owners are raising money for Willen Hospice. Last year owner Jim Bridge matched the amount raised with the same donation from his business so there’s an even bigger incentive to give generously. If it’s a bit out of the way then you could combine it with a visit to Emberton Country Park where winter parking is only £2.60. The lights are switched on Sunday 25th November at 6pm. Santa and his elves will be there and mulled wine, hot chocolate and mince pies will be served. You can put cash in the buckets on the night, and then after then put it in the musical postbox. 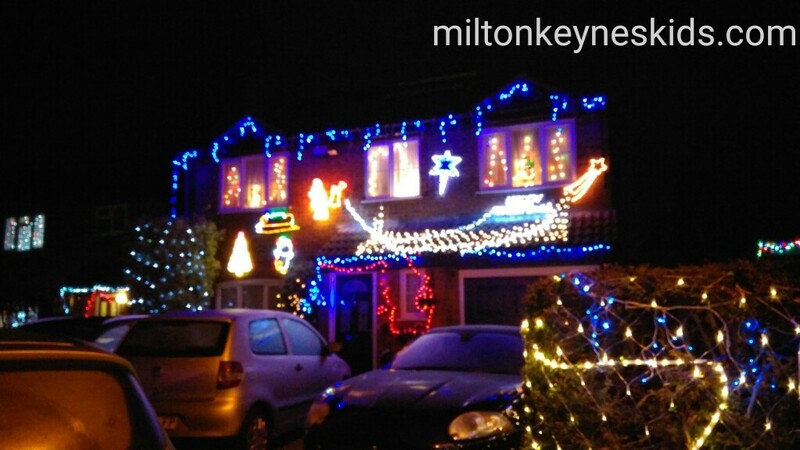 The lights on the house in Bedford Road in Marston Moretaine are brilliant and great fun. Last year liked how you could walk up and down the path to see them. 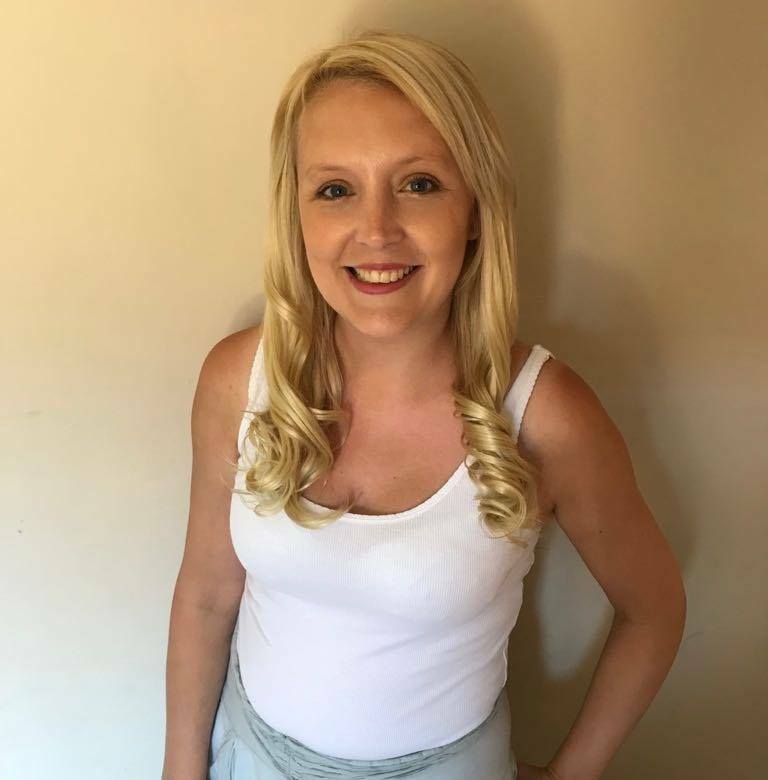 The Knight family have been putting up lights for years and are raising money for Emily’s Star. The post code MK43 0XB gets you there, they’re a few houses away from the post office. They’re about 20-30 mins from Milton Keynes depending on where you live and worth a visit if you’re heading up the A421 or are in the area. It’s yet to be confirmed what date the lights will go on so keep checking back. One house owned by the Beetsons. We didn’t visit last year but the pictures were fab. Switch on is Saturday 1st December from 4pm with a raffle with prizes donated from local firms. It’s raising money for Wellingborough Mind and Chelsea’s Angels. Lights on from 1st then after that everyday 4pm until 10pm finishing 10pm 1st January. They’ve raised £23,800 since collections began in 2007. Keep an eye on their facebook group for updates.